A FRESH call has been made for people to do their bit in the fight against marine litter after a local man photographed a gannet which appeared to have died after becoming tangled in rope and twine. Jordan Clark came across the bird at Mavis Grind on Tuesday afternoon. 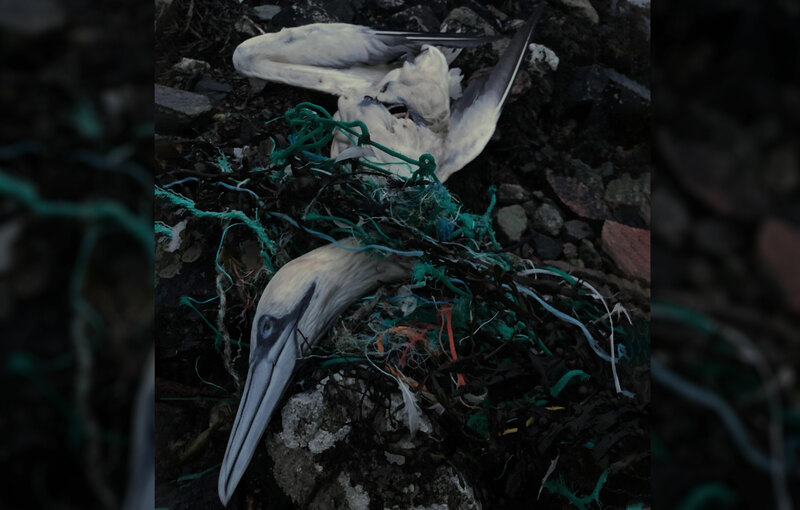 The 24-year-old said the stricken solan showed why it is important for people to continue tackling marine litter and keep Shetland’s beaches and coastline clean. “I saw it from a distance and was hoping it was still alive and that I could cut it loose from the nets, but as I got closer I realised it was long dead,” Clark said. Shetland hosts the UK’s most successful community litter pick-up in the shape of the annual Voar Redd Up, which focuses on beaches, coastlines and roadsides. It is often said that marine litter is a global problem with Shetland, as a group of islands, naturally prone to having debris washed up on its shores from further afield. But Clark said people need to remain vigilant all year round – echoing the #2minutebeachclean movement which encourages folk to do their bit when they can, even if it is just picking up a few pieces of bruck. “The issue of marine litter is very important to me, I spend a lot of time by the sea or in it,” he said. 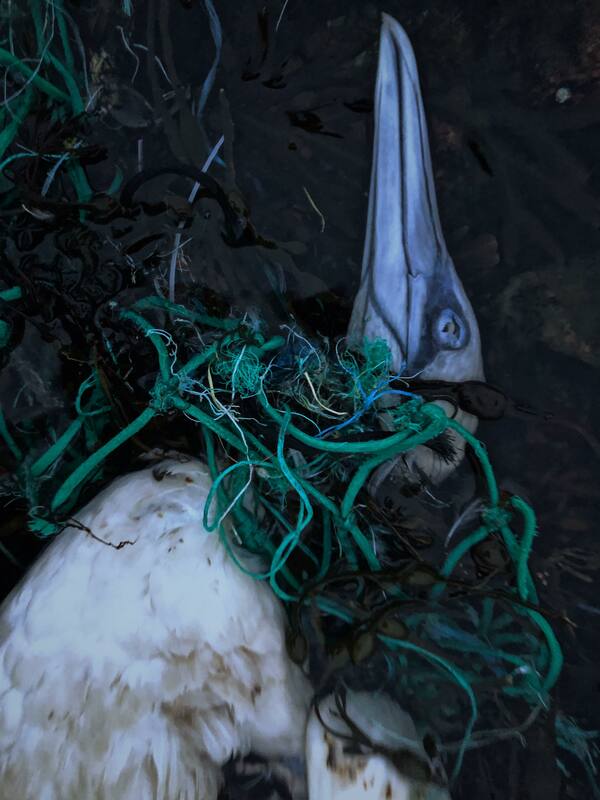 “We all post pictures online of how beautiful Shetland is, but Shetland has a serious pollution problem.